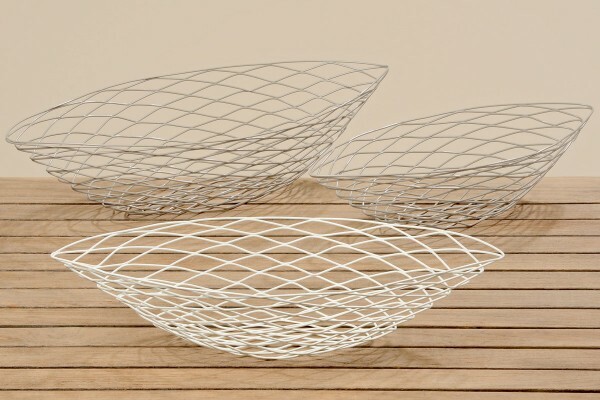 Product information "Lacquered Wire Basket"
Contemporary Lacquered Wire Basket ideal as a fruit bowl but equally useful for placing china baubles inside or even line it and use it as a modern planter. The interesting oblong shape makes this a real focal point in the kitchen or on a sideboard. Available in three sizes and the medium sized basket is available in pure white. Related links to "Lacquered Wire Basket"
Customer feedback for "Lacquered Wire Basket"